Something in between I guess.. The inclusion is clear so there will not be a great deal of absorption taking place, I’m pretty sure you will be alright even when driving the leds to the max. But if my life depended on it…. Thanks. Then I’ll just struggle on Firing up the old soldering iron, and so on. I experienced the same thing when buying from this seller. Each dome had some kind of imperfection on them. Mine were better looking than yours though. I think they are selling these off cheap because they are getting seconds from somewhere. I have found there to be no effect on the performance though. After upgrade. Sst40 dome on. 8000 lumen / 305k lux. Do you guys think I made a good decision?? O dang.. I recently ordered 2 of them from Shenzen Great Technology.. I guess you get what you pay for huh? But, i was planning on dedoming them anyway, so that should take care of any bubbles. X60 was modded with xml2 dedome.. then modded with sst40 dome on. Okay, that explains the ‘more lumen, less lux’ numbers. O dang.. I recently ordered 2 of them from Shenzen Great Technology.. Bubbles… Really??? I guess you get what you pay for huh? Let’s just hope they’re as bright as the KD ones… But, i was planning on dedoming them anyway, so that should take care of any bubbles. Except for one minor problemo: the lowest part of all the bubbles is below the highest point of the “curve” of the leads. 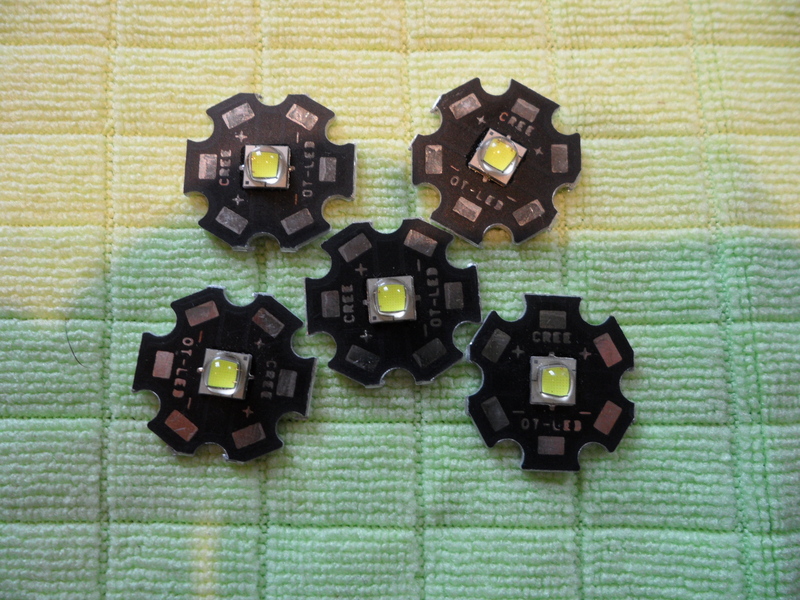 There is one LED with the bubble next to the phosphor. That one I will try to shave. One other is getting a gasoline bath. And if all goes pear shaped: the one with the tiny bubble remains in virgo intacta. I just looked at my emitters from the same Ali vendor. Almost every dome has bubbles. Here are some of them. It would be interesting to get bin estimation…. Has anyone found a place to get these in a neutral tint yet? I picked up a pair of these in 6500k from KD. Not sure why I did it, really hate anything below 5000k. Mounted one up and tested it, very bright but just can’t handle the tint. So, now they will sit for an eternity in my LED box. Maybe someday someone will ask for a mod with that tint… Would love to see these in 5000k – 4000k. Why not just dedome them? From what I have read, there is almost no tint shift. I may try one that way in a C8, just for giggles. I only have 1 in a M1 but i cant see any. Got just shy of 160kcd in one of my C8s. Just got my hands on some P2/ AA binned( kit 752)(VL voltage binned) emitters from those. I just received five SST-40 from this seller on Aliexpress, they turned out to be the real deal. There is of course no specific information about tint/bin but with my unscientific testing they seem on par with the one I bought from KD. There is also a bit of green in the lower modes just like the one from KD. The MCPCB’s is not very good but that didn’t come as a surprise. The price has gone up a bit I payed $1.69 a piece. Price is going up folks, $1.69 when I ordered first time and now they are $2.09. Can’t find it on the arrow site. Mitko, could you share the link please? Anyone else order from the other not so great aliexpress seller? They are still selling at $1.60pcs but I’m worried I’ll get fakes. Most people order sst40 from the kaidomain. The KD are real, unfortunately they are also 6500K. But, I had to try a couple. My KD last ordered 10pcs, fail to dedome in gasoline and toluene. Bond wire came off and stick into perfect dome.